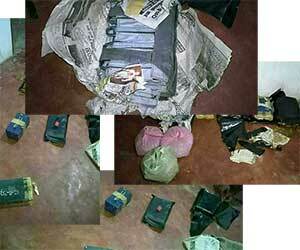 A suicide vest, ammunition and over 10 kilograms of TNT was recovered during a police raid of a house in Chavakachcheri, Jaffna District, police sources revealed. The police raided the house after they received a tip regarding a drug haul at the location. The owner of the house has fled the area, while the police are conducting further investigations.